Michael Kaufman has a 30-year record of planning, establishing and managing successful information technology businesses. Prior to founding KBT partners, Michael was Executive Vice President of Eclipsys Corporation (ECLP). At Eclipsys, he was responsible for all of the company’s corporate development activity including mergers and acquisitions, alliances, product strategy, and new business development. As a key member of the executive team, he had an integral role in bringing the company public and growing the company to a billion dollar plus major player in the Healthcare Information Technology arena. 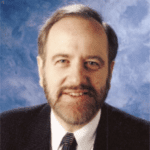 Prior to Eclipsys, Mr. Kaufman was the CEO of SDK Healthcare Information Systems. SDK was founded in 1961 as the first company in healthcare computing. SDK provided industry leading revenue cycle systems to major hospitals across the country. In 1997, the company was one of two companies merged to form Eclipsys Corporation. He is on the national council of Washington University in St. Louis and serves on the advisory board of the Health Sector Management program of the Graduate School of Management at Boston University. He serves on the board of several early stage healthcare technology companies and venture capital firms, and is a partner in Converge Venture Partners. He holds a BA and a MBA from Boston University and an MSW in social policy and administration from Washington University in St. Louis. Michael is an accomplished woodworker and furniture maker.